When you purchase your uniforms up front, you may feel like you are saving yourself money in the long run. And at first, you may be right. However, as time passes and these uniforms begin to wear down, you run into a problem: maintenance and repairs. This leaves you with three options: allow your employees to walk around in tattered uniforms, pay an outside company to repair those damaged uniforms, or replace the uniforms with brand new ones. All three scenarios cost your business. Tattered uniforms give your customers the wrong first impression, costing you business, while the second two scenarios will cost your business money. 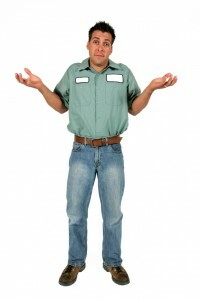 Uniform Rental,on the other hand, ensures that your employees are always outfitted in clean, well-maintained uniforms. You see when you choose uniform rental, maintenance and repairs are handled by the uniform company. And when a uniform has reached its useful life, it will be replaced free of charge. Of course, these repairs and replacements only cover normal wear, not abuse & neglect. When you purchase your uniforms up front, you have to determine how these uniforms will be cleaned. After all, a dirty uniform defeats the purpose of having a uniform. So you have three options: rely on your employees to clean their uniforms, clean all of the uniforms in house, or use a laundering service to clean your uniforms. All three scenarios cost you money. Meanwhile, your Uniform Rental company will pick up your employee’s dirty uniforms, launder them, and return them as part of the service. What could be easier? When you purchase your uniforms up front and you hire a new employee, you will need to purchase new uniforms. That adds up quickly, especially if your employees need 5 sets or more and you experience a period of rapid employee turnover. When an employee leaves you have to collect clean and sort the used garments by size for reissue, or let them walk out the door with the employee. This is money out of your pocket. To find out if Uniform Rental is the right choice for your business, please contact Joe Bateman at Lord Baltimore Uniform at 800-292-1224 or visit LordBaltimoreUniform.com. Lord Baltimore Uniform provides uniform rental and uniform purchase to companies in Maryland, Washington DC, northern Virginia, Southern Pennsylvania, and Delaware. With a strong commitment to customer service and a service guarantee to back it up, Lord Baltimore Uniform is your optimal choice for uniform supply. This entry was posted on Friday, October 25th, 2013	at 6:00 pm	. You can follow any responses to this entry through the RSS 2.0	feed. Both comments and pings are currently closed.